AdamDU (Data Utility) software lets you easily capture data from up to 8 different Adam Equipment balances and scales for immediate analysis or export to other applications. 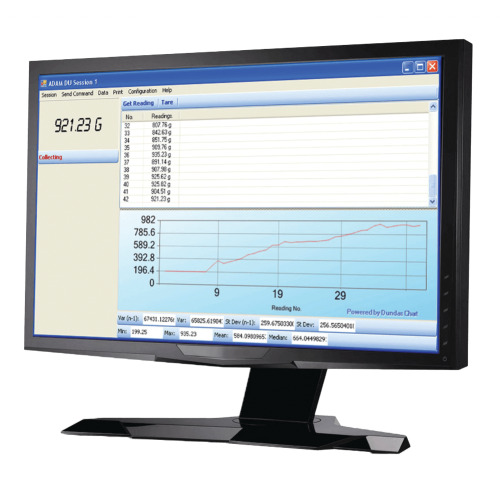 Keep tighter control of weighing operations and integrate weighing tasks into processes with this comprehensive data collection utility. Capture Tare weight, Net weight and Total/Gross Weight from any scale for production line applications.